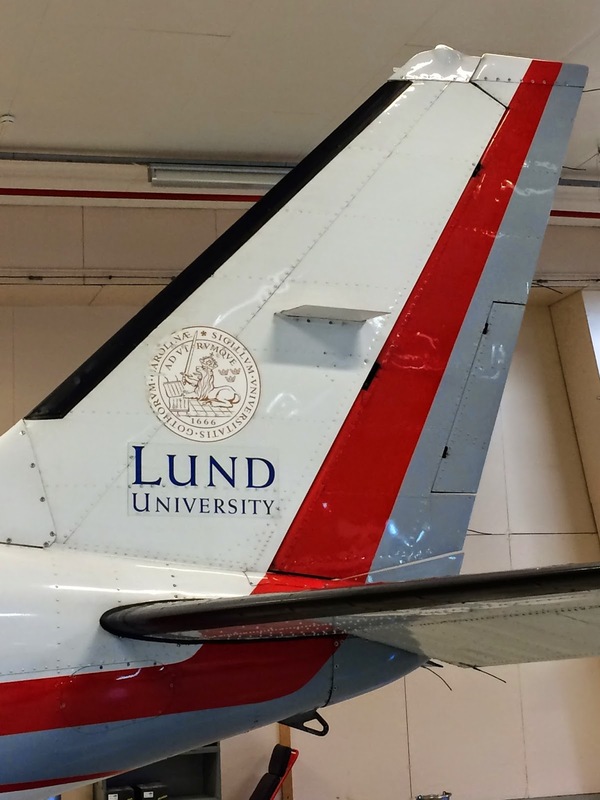 Recently I had the chance to get a taste of what it is like to be a pilot at Lund University's Air Traffic School in Ljungbyhed. 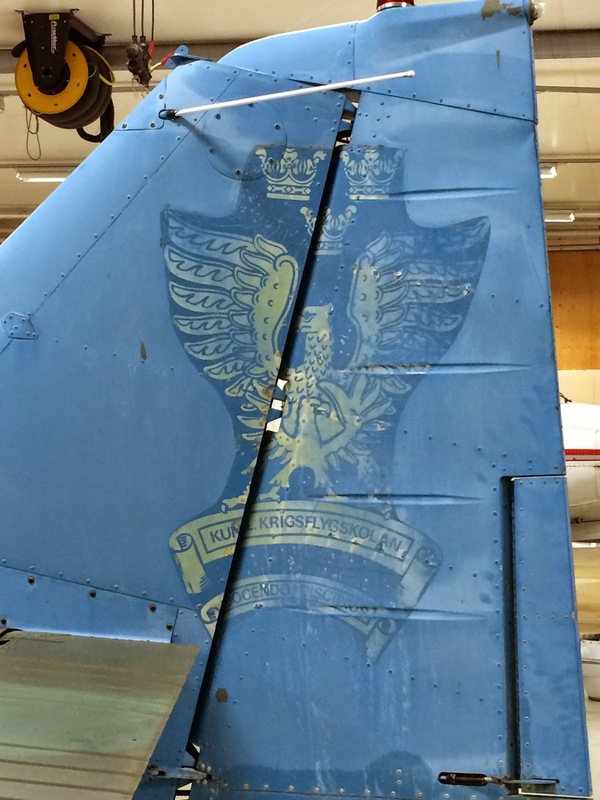 It was such a unique and interesting experience to climb into the cockpits and learn about becoming a pilot. Welcome to my goofy, excited face. I'm clearly super stoked on sitting in the cockpit. 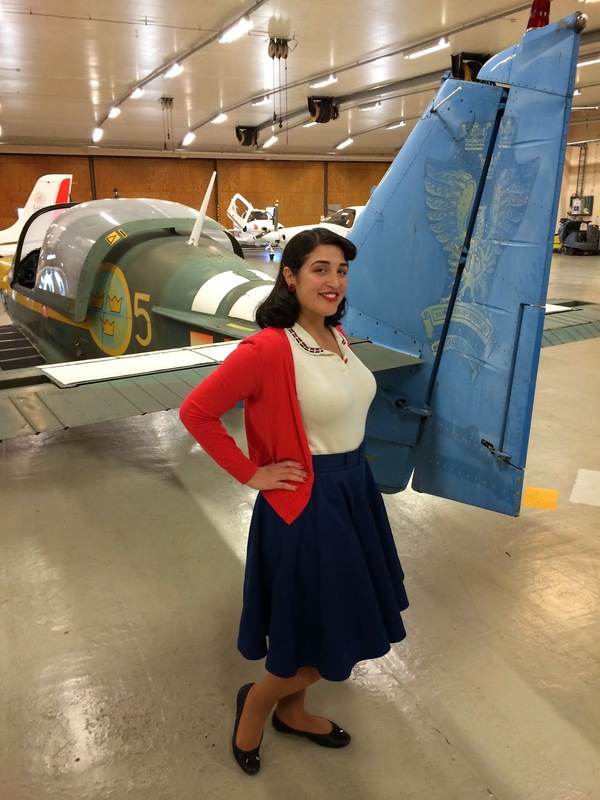 They have a variety of planes at the school...even some old ones for you WWII buffs and retro enthusiasts. Yeah, I pretty much RAN over to this one straight away. I had to take a photo with it! People told me I matched the plane, too. I'm wearing my old red cardigan along with a blouse and skirt by the lovely Emmy at Emmy Design. And then I climbed into it. I just couldn't help myself. Here's me with my coworker Bella, playing the part of a couple of super tough flygirls. 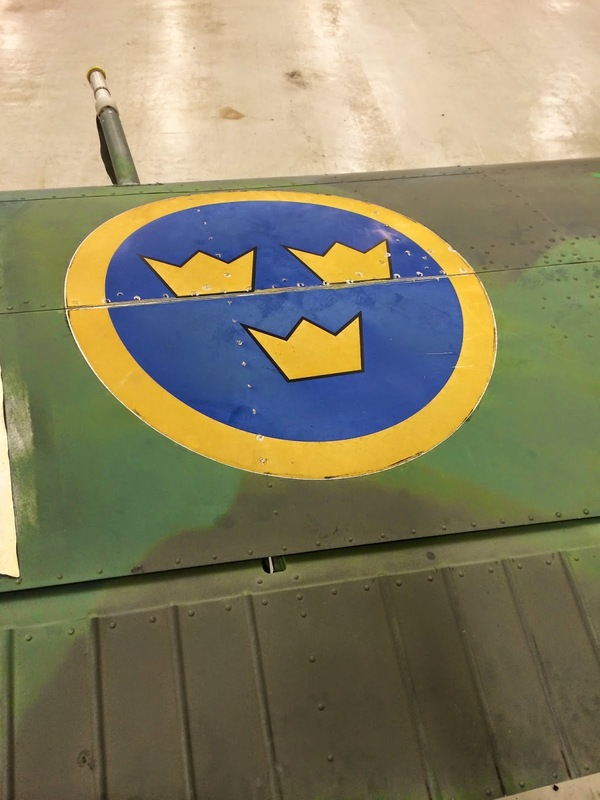 This baby is a WWII era fighter plane from the Royal Swedish Fighter Pilot Academy, which is what the campus used to be used for before it came into the hands of Lund University. 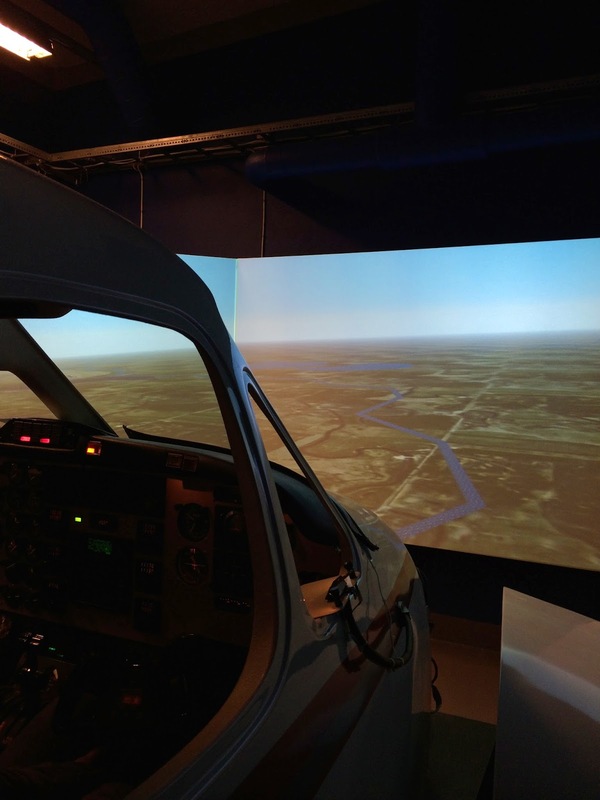 And we even got to land a jet in a simulator! 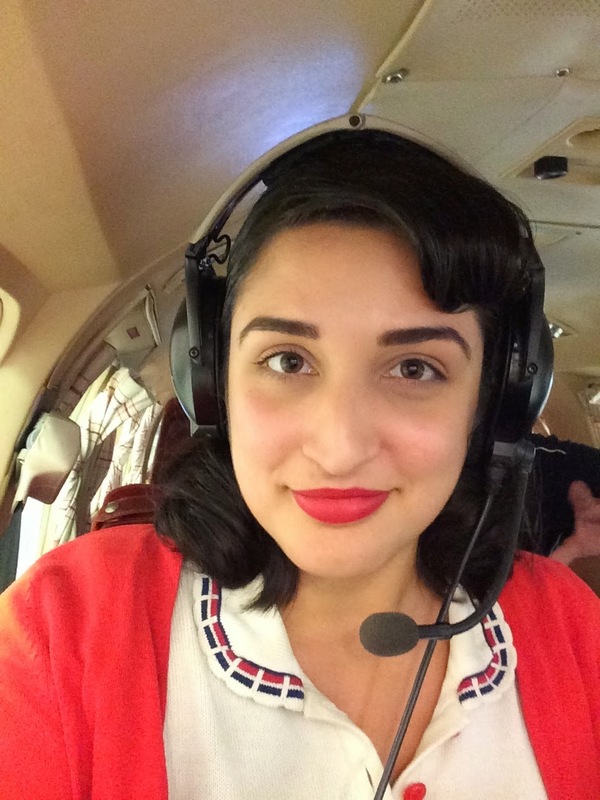 Bella was my copilot and so she lowered the landing gear and adjusted the flaps for me. 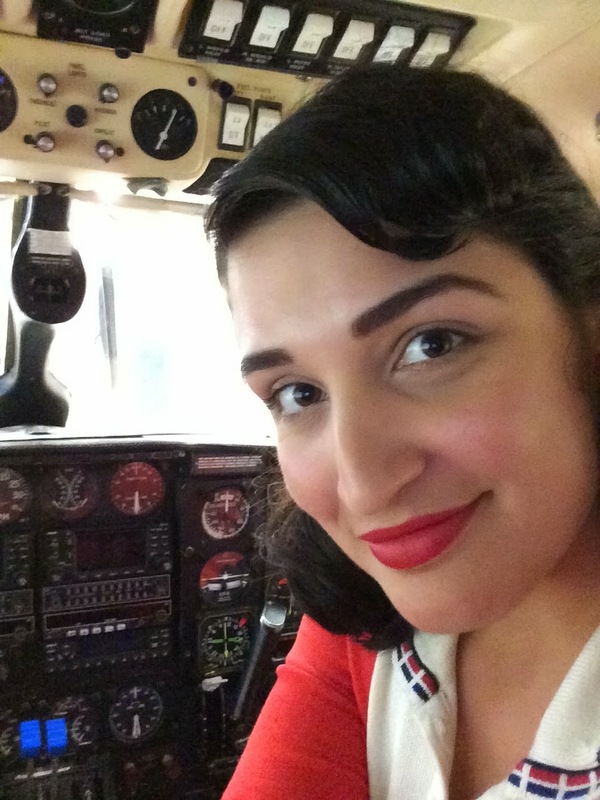 The flight instructor said that I made the smoothest landing of the day. Hooray! 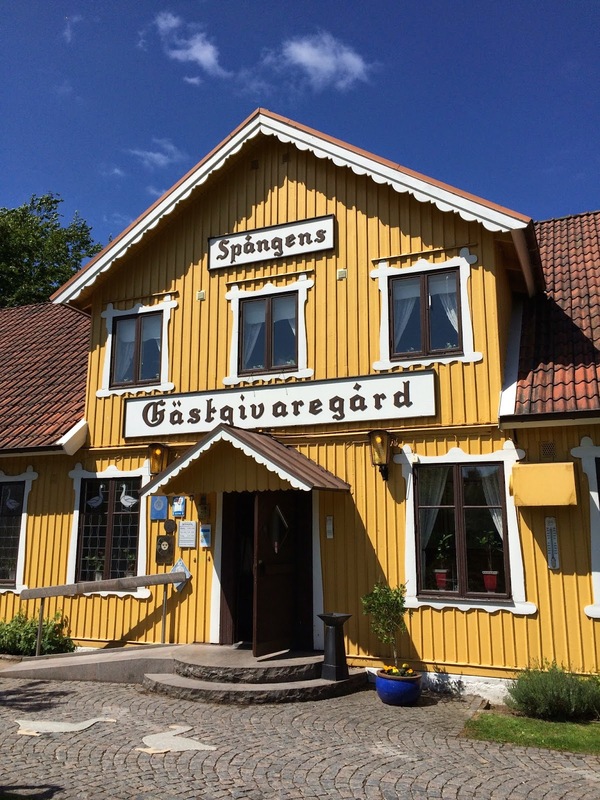 We also had lunch at a famous inn in nearby Spången - Spångens Gästgivaregård. 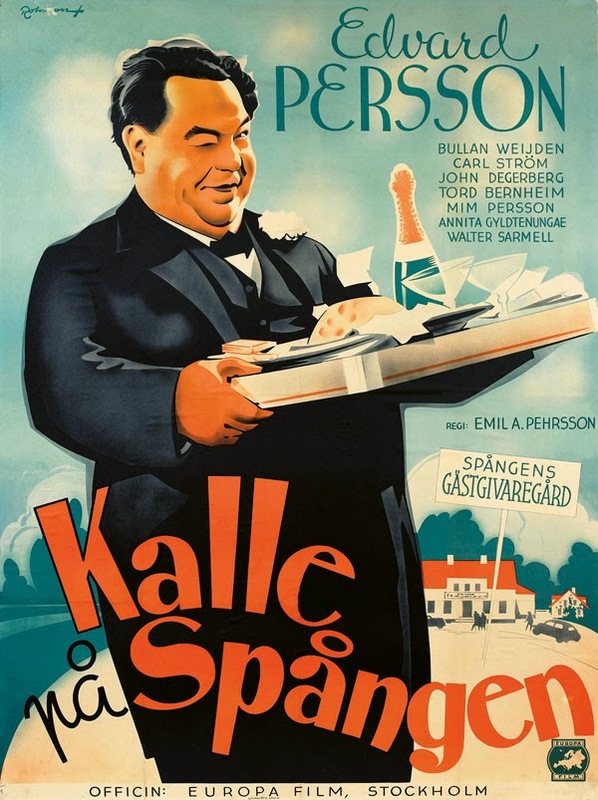 It's famous as the setting for Kalle på Spången, a 1930's film. Just off of a country road, it sits near the bank of a river with forest behind it. This place is too cute! What a day! 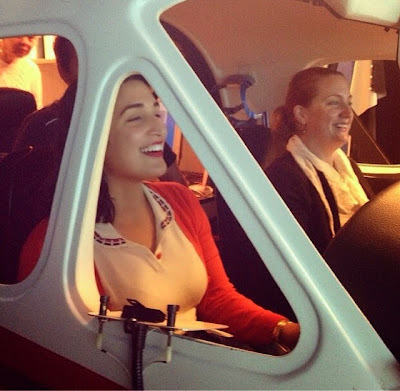 Although I know being a pilot is just not for me (I couldn't hack those pilot exams - we tried some! ), I learned a lot and it was a great day on the job! Great skirt, you look very cute! Sunny summer days are here!